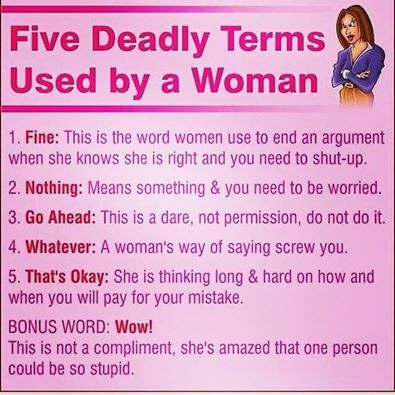 Here are the lists of deadly words that are commonly used by woman. If she used these words to you, it means that she is 50% not interested in you or hates you. Check the 5 lists that will serve as a sign that a woman is angry at you. They said that woman easily changes attitude and you cannot easily understand their attitude. Sometimes they are sweet and most of the times they are like thorns in your lungs.